Replace or install carpet to make a room appear brand-new. Even better, you can save money by doing the job yourself. Love it or hate it, there are at least a few good reasons that homeowners choose carpeting today. For one, it absorbs the sound produced by television sets and stereo systems, overenthusiastic dogs, and raucous children. For another, carpet provides a soft, comfortable surface upon which to walk. 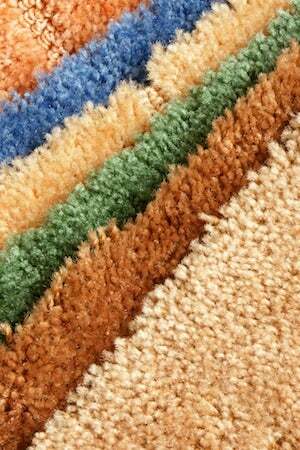 And since it’s available in countless colors and patterns, carpeting can complement the decor of virtually any room. It can be somewhat challenging to install carpet, but with patience, preparation, and a some specialized tools, you can do the job yourself for a fraction of what it would cost to hire a professional. Start by determining the square footage of the room in which you wish to install carpet. (To do this, simply multiply the room’s width by its length.) To be certain that you buy enough material, add 10 to 20 percent to your square footage calculation. Your carpet dealer can let you know whether you are neglecting any details; so that he can offer you the best advice possible, bring a sketch of the room’s layout to the store when you’re ready to choose a carpet. Sweep and vacuum the floor thoroughly, taking this opportunity to check for damage to the floor that will lie beneath the carpet. Smooth out the surface by removing any globs of glue, errant nails, or built-up paint. Depending on the design of the room, it may be wise or even strictly necessary to remove doors and baseboard molding so that your carpeting fits squarely against all edges. (Replacing old wall-to-wall carpet? You can probably install the new carpet without having to take off the baseboards first.) The floor should be totally dry before you proceed, as residual moisture can lead to mold growth. If you are planning to install carpet with a pad, then you don’t need to use glue, but you do need to install tack strips around the perimeter (minus the doorways). Later, when the carpet has been laid, these tack strips will hold the carpet in place. For now, position the strips about a half-inch from the wall, with the tacks angling away from the center of the room. When you’re purchasing those tack strips, by the way, there’s a simple rule of thumb to remember: Wider is better. Aim to put two nails into each tack strip, butting one strip against the other, end to end. Once you have placed tack strips around the entire room, even around obstructions like air vents, move on to install the carpet pad. Cutting the sizes needed as you work, staple down the padding every two feet along the inside edge of the tack strips. Trim back any excess padding with a utility knife, and duct tape the seams between padding panels until you have covered the floor. Before you put down recently purchased carpeting, give the material at least 24 hours to acclimate to the conditions of your home. 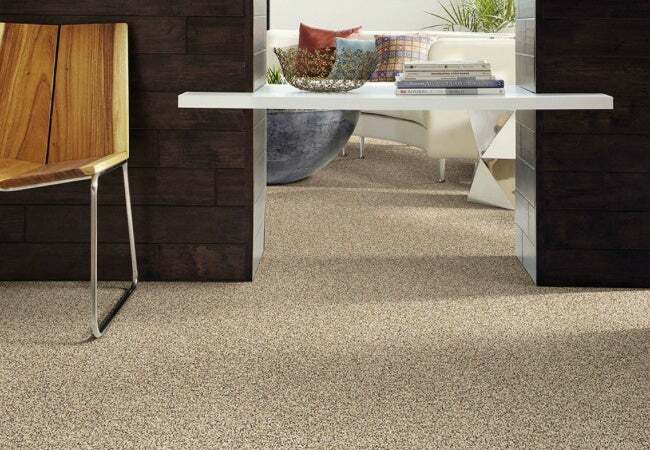 During this time, the carpet may shrink or expand slightly, and allowing this to happen prior to installation helps you ensure professional-level results. Seaming tape is used to join two or more sections of carpet. Apply the tape underneath the carpet seam, adhesive side up. That adhesive melts under a seaming iron (which you can rent from your local home improvement center, along with other specialized tools). As the adhesive cools, press down on the carpet edges you are connecting. Next, seal the seam with a carpet roller. If possible, try to locate seams in low-traffic or otherwise inconspicuous parts of the room you are carpeting. Beginning in a corner, attach the carpeting to the tack strips using a knee kicker, which prevents lumps and bumps from forming. Then head over to the opposite side of the room, stretching and pulling the carpet along with you. (If the room dimensions warrant one, a power stretcher makes easier work of positioning the carpet). Continue to use the knee kicker as you secure the carpet over the tack strips. Cut away excess with a utility knife (or wall trimmer), and finish by fitting the carpet under the baseboards, if you didn’t remove them earlier. If you did remove the baseboards, reattach them now. Finally, kick off your shoes and enjoy a luxurious stroll across your newly installed floor covering!